Former Air India executive director Jitender Bhargava comes out with a book detailing what went wrong with the national carrier. According to him, India does not have a civil aviation policy, and that's just the beginning. India does not have a civil aviation policy. Civil servants running the ministry do not even have a clue, said former executive director of Air India. Jitender Bhargava, who occupied the senior rung at the national carrier for more than two decades, claimed the government wants to deliberately and systematically kill the airline to help private carriers. “If the civil aviation ministry was serious about reviving the airline, it would have brought in experts instead of relying on clueless officials,” he said. He was speaking at the launch of his book, The Descent of Air India, an event organised by Moneylife Foundation, with Bharatiya Janata Party’s Subramanian Swamy as chief guest, in Mumbai on Friday. Air India was one of the best airlines in the world, but things started going downhill after JRD Tata was booted out and the carrier was nationalised. Everybody began meddling in the day-to-day affairs and destroyed the iconic carrier, added the former executive director. Meanwhile, promising to revive Air India if the BJP is elected to power in 2014, Swamy said the country needs a national carrier. According to him, ticket prices can be brought down by as much as one-third by reducing airport and fuel taxes and cutting down on consumption of fuel. Making the case for national carriers over foreign airlines, he wondered when India has so many operators then why is the Dubai-based Emirates carrying more Indians on international routes than any other carrier. “Emirates is allowed to fly between one Indian city another, but our carriers are not allowed to fly within the UAE, from say Dubai to Sharjah. Why is that? Is it a fair policy?” the Harvard-educated Swamy asked. He said India should only allow foreign airlines that have a track record of innovation, experience and some connection to democratic values. The former minister claimed there was an urgent need to reform bilateral agreements signed by the Indian government with foreign carriers. “Abu Dhabi-based Etihad airline was first allowed 8,000 seats per week in India and although it was struggling to fill even that quota it has now been given 50,000 seats per week thanks to its deal with Jet Airways. Why are we providing so many facilities to overseas operators? Aviation is a national security issue and we are risking our security by allowing these sorts of deals. Tomorrow what if Etihad acquires whole of Jet Airways and enjoys unfettered access to all our cities and airports,” said Swamy. There was strong objection to the Jet-Etihad deal, but it was allowed to go ahead after personal intervention by certain influential politicians, he alleged. Bhargava, who has launched a blistering attack - including naming and shaming ministers and officials - since leaving office against those he blames for ruining the airline, said whereas once promotions were based on merit now they depend on the whims and fancies of officials and ministers. There’s no mentoring, no talent development and no reward, he rued. To illustrate the extent of the government’s meddling and its hand in bringing down standards, he cited an incident reportedly involving former civil aviation minister Ghulam Nabi Azad. The carrier was in the middle of selecting and interviewing candidates for cabin crew positions when Azad allegedly dispatched a list of 20 people he wanted the airline to hire. Out of those only five would have made it on merit alone so the carrier protested, but Azad, Bhargava said, stuck to his guns. After the Air India management refused to bow to his diktat, he reportedly cancelled the whole selection process. While defending the decision to merge Air India and Indian Airlines, he admitted that both companies had different work cultures as the former was based in Mumbai and latter in New Delhi. 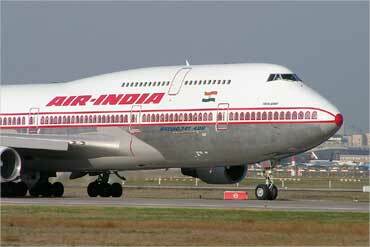 Who's to be blamed for Air India's plight?